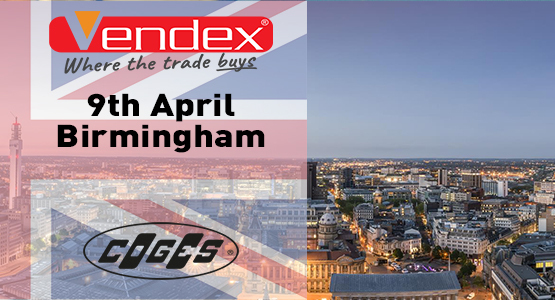 Home | News | Uncategorized | Coges is present at Vendex Midlands 2019 with Joyco. Coges is present at Vendex Midlands 2019 with Joyco. Coges is present at Vendex Midlands 2019 with Joyco, the most innovative way to create a connection with your vending machine. Joyco allows you to select, customize and pay the drink you want directly from your smartphone. Once you have selected the drink you can become a real bartender by changing the quantity of ingredients and by saving your new recipe. We are waiting for you with Coffetek at Stand no. 29. With Joyco Coges reconfirms its commitment to present increasingly innovative and smart products for the vending market.